Election for the posts of Speaker and Deputy Speaker will be held in the Punjab Assembly on Thursday. For speaker’s seat, the contest will be between PML-N’s Chaudhry Iqbal Gujjar and PTI’s Chaudhry Pervez Ilahi. For the slot of deputy speaker, PTI’s has fielded Dost Muhammad Mazari while PML-N’s candidate is former MPA Malik Waris Kallu. The lawmakers will take part in the polling through secret balloting. 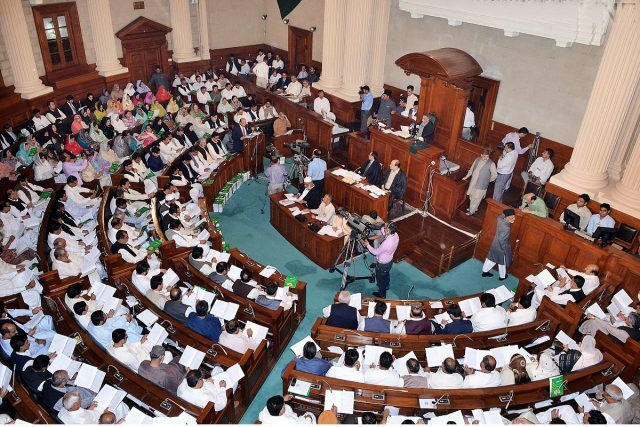 Earlier on Wednesday, elected MPAs of the Punjab Assembly took oath during the assembly’s inaugural session. The election for new chief minister Punjab is expected in the next couple of days. The PML-N, which has the highest number of seats in the Punjab Assembly, has nominated Hamza Shahbaz Sharif for the slot of Punjab chief minister. The PTI has yet to name its candidate for the position. The PML-N has 127 seats in the assembly, while the PTI is a close second with 122 seats. MPA salary increases: Has a public interest bill been approved with the same speed?